Hautes Pyrenées Tribute to Laurent Fignon: On September 26, 2010, at 11:00am, the Giant statue at the top of the Tourmalet will be removed for the winter months and transported down the mountain to the town of Bagnéres de Bigorre. The statue usually rests for the winter in the garden outside the Laurent Fignon Cycling Center, in the town of Bagnéres de Bigorre, at the foot of the Col du Tourmalet. Paddy Sweeney reported on his website VeloPeloton.com this morning from Saint Savin, France, that this year the Conseil General of Hautes Pyrenees has arranged a memorial gathering at 1:00pm to honor Laurent Fignon . 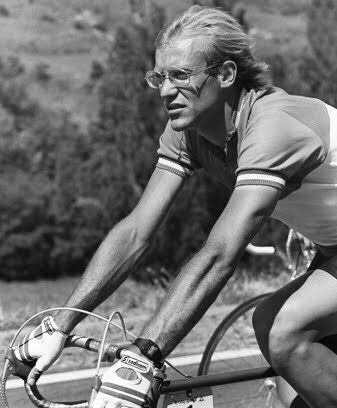 Former Tour de France Champion and Frenchman Laurent Fignon died from Cancer on August 31, 2010. All cyclists are welcome to attend the memorial tribute.